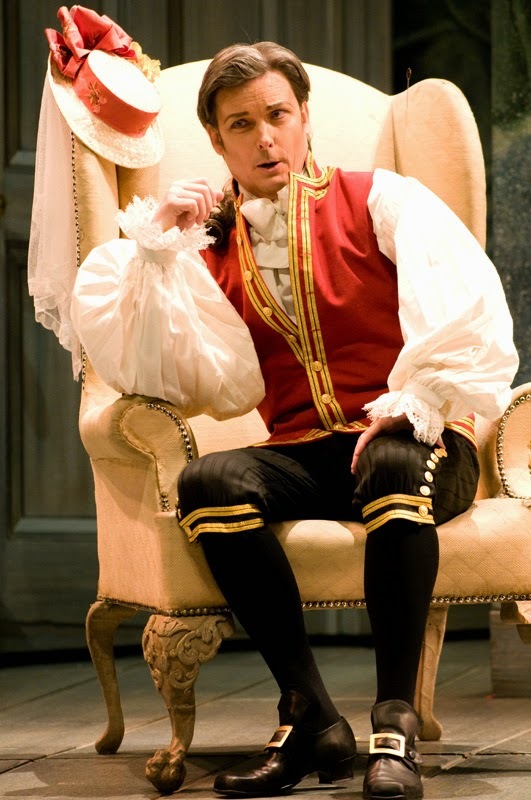 French bass Nicolas Cavallier made a strong Seattle Opera debut as Mozart’s Figaro in 2009. 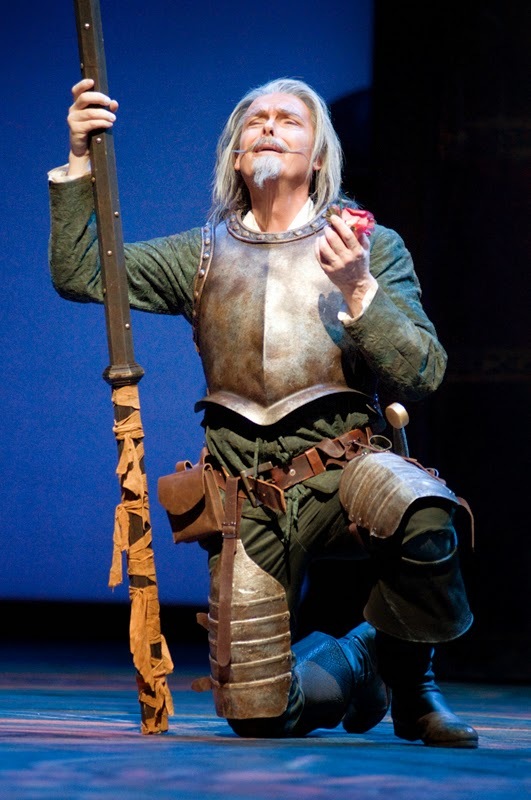 Seattle audiences then enjoyed this versatile artist’s moving portrayal of Massenet’s Don Quichotte in 2011. 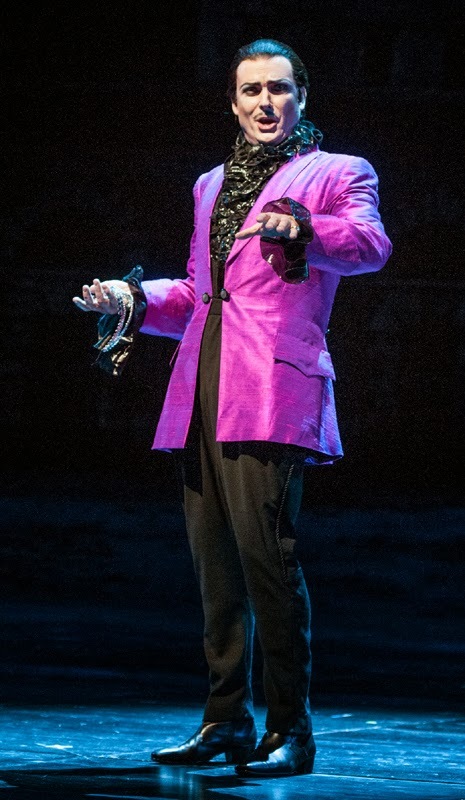 Now he returns as in a very different role: the shape-shifting nemesis of Hoffmann, who foils his romances at every turn. Cavallier told us about how basses have all the fun—and what American opera audiences have in common with Chinese! 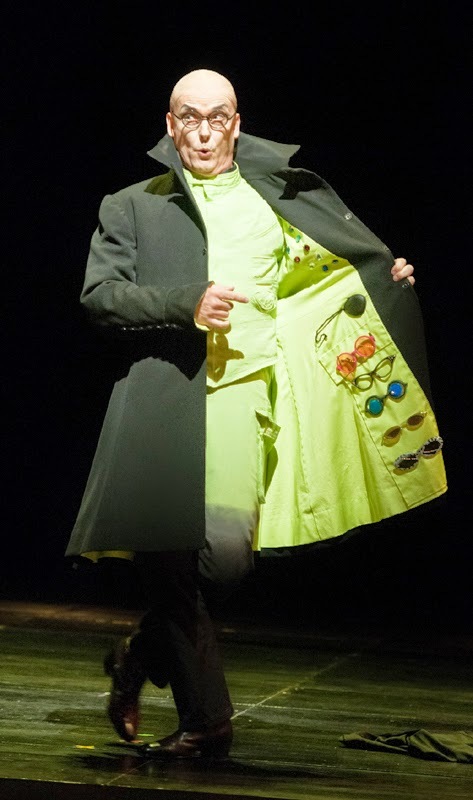 Your roles for Hoffmann are such a change from your last role here of Don Quichotte! Which is more fun to play: a saintlike, virtuous character or a villain? Basses get to have it both ways. I love the wonderful humor of Don Quichotte, but it’s also a blast to be the nasty guy...or in this case, a variety of nasty guys. I play all kinds of devils, in this opera, in Faust, in operas such as The Rake’s Progress. The devil has to be appealing. In the French tradition he is always ambiguous. In The Tales of Hoffmann your four devil-characters are quite different. Yes, Councilor Lindorf, my character in the Prologue, is not too nasty; let’s call him “playful.” Coppélius is lots of fun, Dr. Miracle is much darker, and Dapertutto, though he has less to sing, he is a nasty piece of work...the darkest one in this opera. Have you sung The Tales of Hoffmann often? Yes, I’ve been singing these roles for 15 years, since the first one I ever did in Lièges. I’ve done it in Geneva, Avignon, Marseille, and farther afield: Albania, Hong Kong. and it was interesting how the people reacted in China—they were more like an American audience, audibly enjoying themselves. 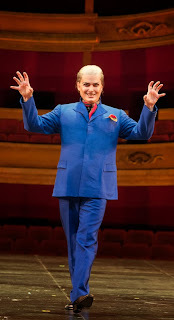 What is The Tales of Hoffmann about? A man who thinks he is in love with three different women, but it’s all in his imagination. It is possible to blind yourself with love; here, for instance, he falls in love with a doll, with a woman who is near death, and with a whore. And at the end he loses his soul. He loses everything. What’s the vocal challenge for the bass? Are these four roles even written for the same voice? Not exactly. In fact on many old recordings they have four different singers. To do them all you need a very big bass-baritone range. Coppélius is a basso buffo, really; Dr. Miracle, in the middle act, sings in a low register but it must be very strong as he has to hold his own in two very dramatic trios. And Dapertutto’s aria, “Scintille, diamant” is actually quite high. And what’s your favorite moment in the opera? Nicklausse’s “Violin Aria.” It’s so beautiful. What advice would you give an opera-goer who is attending Tales of Hoffmann for the first time? Listen for the Frenchness of the music. Although it comes from German stories, it is very French; in fact it’s the most popular French opera after Carmen. French opera must be effervescent—it requires a huge amount of energy from everyone involved. The most famous moments in the opera are the “Barcarolle” in the Venice scene, sung by Nicklausse and Giulietta, and the Trio that concludes the Antonia act. Keep in mind, Offenbach himself never heard this opera. He died before completing it, before it was ever performed. You have to finish it each time you put it on, because people keep on finding new pieces of music and trying them out. I’ve been in 15 productions now, and every time there was a slight change: a new aria there, a different version of a recitative there. You are French, but much of your training happened in the UK. Yes, they have a more laid-back approach to music in the UK. Sometimes in France we take ourselves too seriously! I’m coming to Seattle from Strasbourg, in eastern France, where I was singing Merlin in Chausson’s Le roi Arthus, a King Arthur opera, staged by Keith Warner. That was really great, it was a wonderful experience. Paris. I have been very lucky. I have friends in this business who go without seeing their families for months. This is unacceptable. When my two children were young I stayed nearby so they could see me from time to time. I tried to do both things well—career and family. I like singing in Strasbourg, and I’ve been impressed with the public in the UK. Vienna is wonderful. And in Seattle, I was so moved by the way the audiences enjoyed Don Quichotte. Do you have any particular pre-performance rituals? I like to go onstage when the public is not there. I get the feeling of the room, and walk through what I have to do. I greet the technicians, as we all prepare to do the show together. I need the feeling of the room. You have to feel at home. Speight Jenkins is bidding us all farewell with this production. 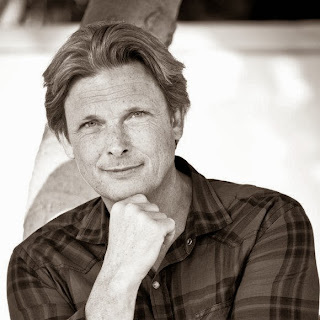 What has Speight meant to your career? I’m very grateful for the jobs he has given me in Seattle; if he believes in you, he is faithful. He is a visionary. There are very few general directors who have the knowledge and vision of what opera can be. I respect the sheer passion that he has for opera. He’s very attuned to his singers; he loves them.